It's time for a new challenge at The House that Stamps Built. and Repeat Impressions 8615-E Best Gifts for today's card. 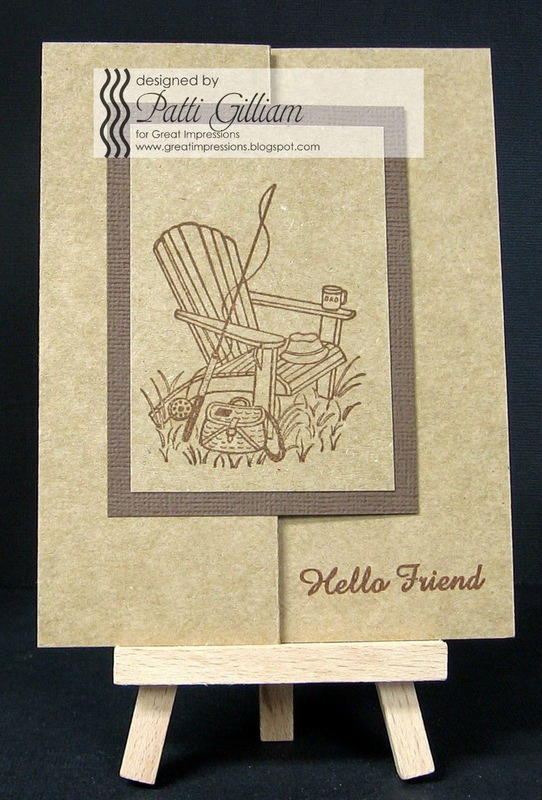 So, have you been following the Great Impressions blog this week? 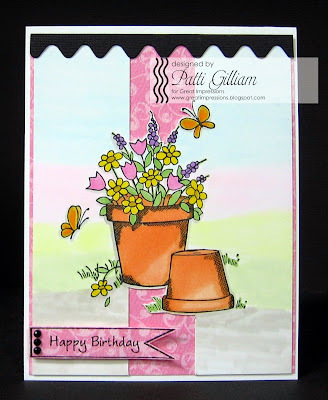 assignment for today's post was to share a paper crafting tip. I hope that you'll pop over and check out my post! are going to want this one! 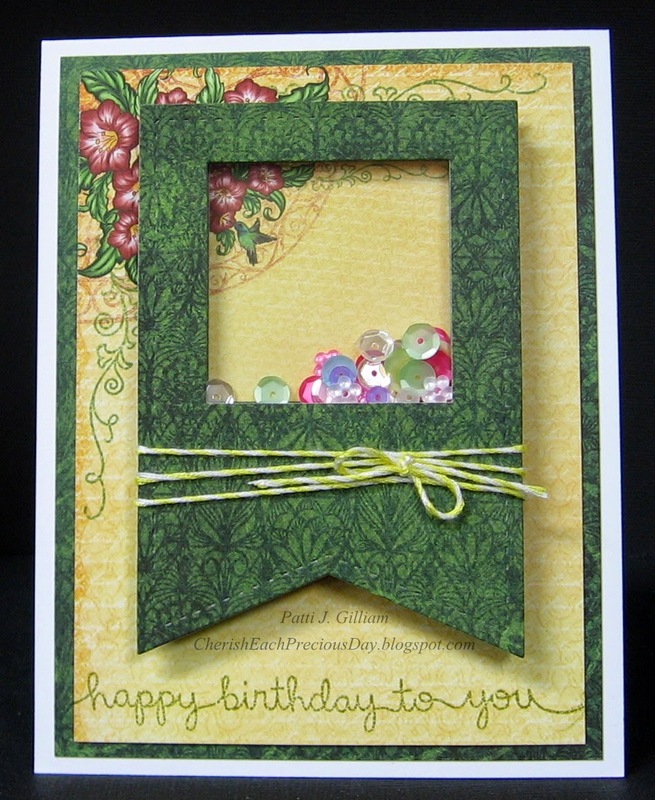 My card today is created with Die-Versions "Victorian Kids" Whispers DV-463. and an AMAZING die? Yep, love it when that happens! and just fall right out of the die. hope that you are having a great week - happy Wednesday! 2821-H Wish you were here. Wow, this one was tough for me, so I finally cheated. Yep, cheated! glasses, and used some Copics to color the glass a bit. to a gold card base. That's that! photo inspiration challenge, but the USPS is living up to the 'snail mail' title! Now, let's do some hopping to see what my DT friends have created! Happy Monday - I'm so happy that you stopped by today! 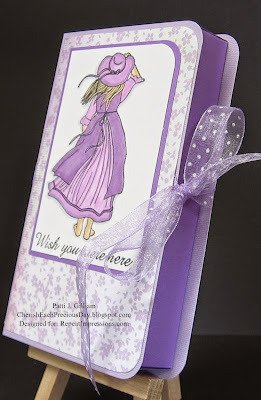 Pretty Pink Posh is partnering with CardMaker Magazine in a blog hop, and offering one lucky person a package of goodies. You can find all of the details regarding the giveaway on the Pretty Pink Posh Blog! Today, the CardMaker Magazine Blog Team is excited to be showcasing some fun Pretty Pink Posh products, and hope that you will be inspired by what you see today! 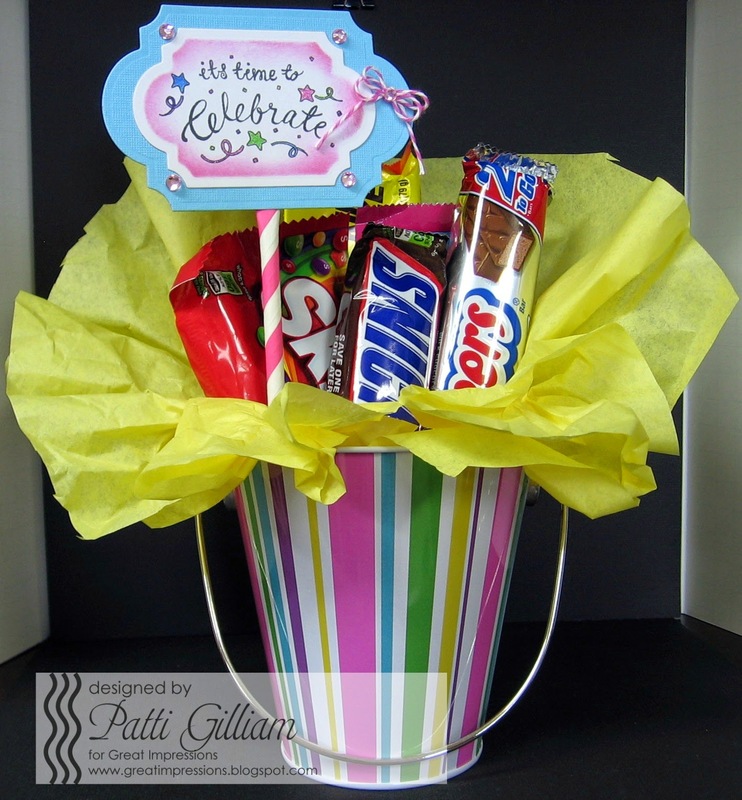 Be sure to leave a comment as you hop...just look at what one lucky winner will be receiving! What's in this winners package? 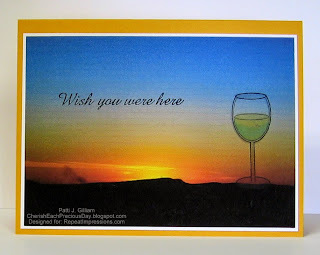 Hopefully, you have come to my blog from LISA'S BLOG! When you leave here, you will go to AJ'S BLOG! If you get lost along the way, you can find the entire hop list at the CardMaker Blog. 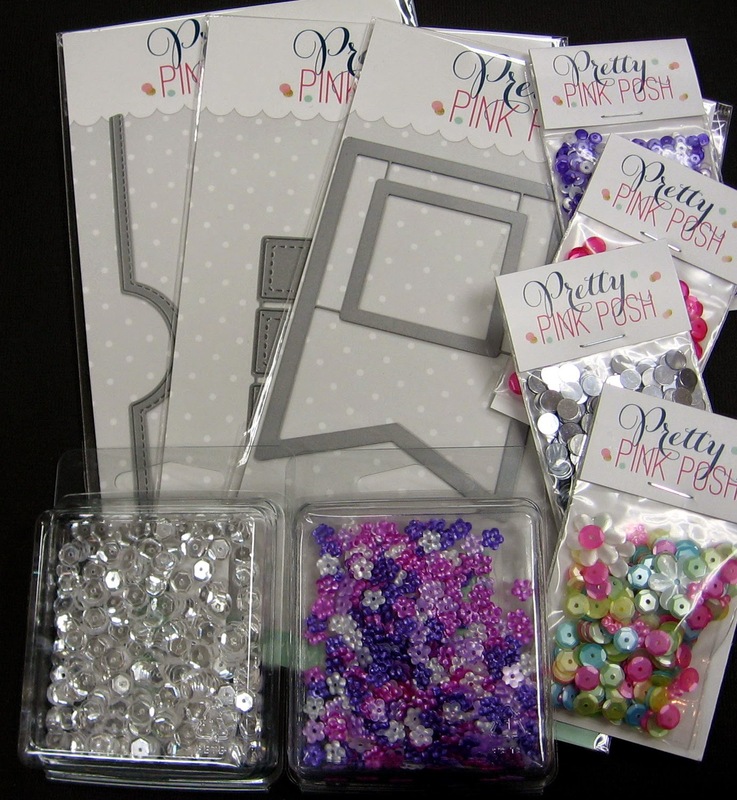 I was excited to recieve MY package of Pretty Pink Posh supplies. I'm sure ya'll heard me squealing with delight in the middle of our little Post Office! This fun gift was created for my Chemo Buddy. 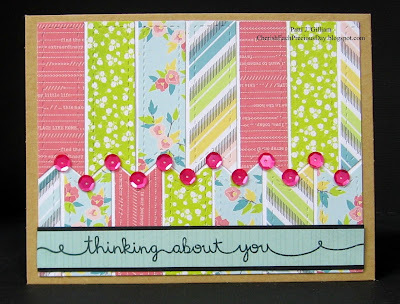 I just embellished a cute scrap pad from Wal-Mart. Tada! Another fun gift for my Chemo buddy! 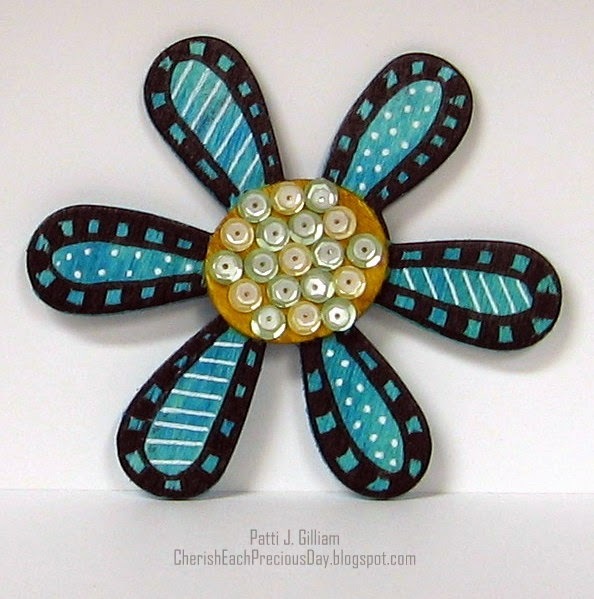 Just took a wooden flower, colored it, and added some sequins and a magnet! 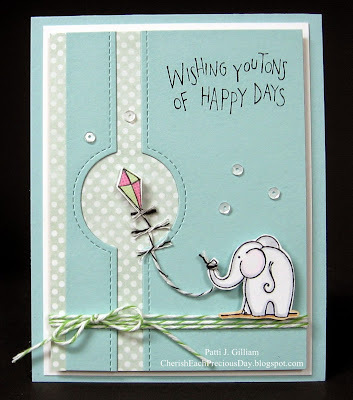 Time to hop over to AJ'S BLOG, to see what amazing creations she has been working on! 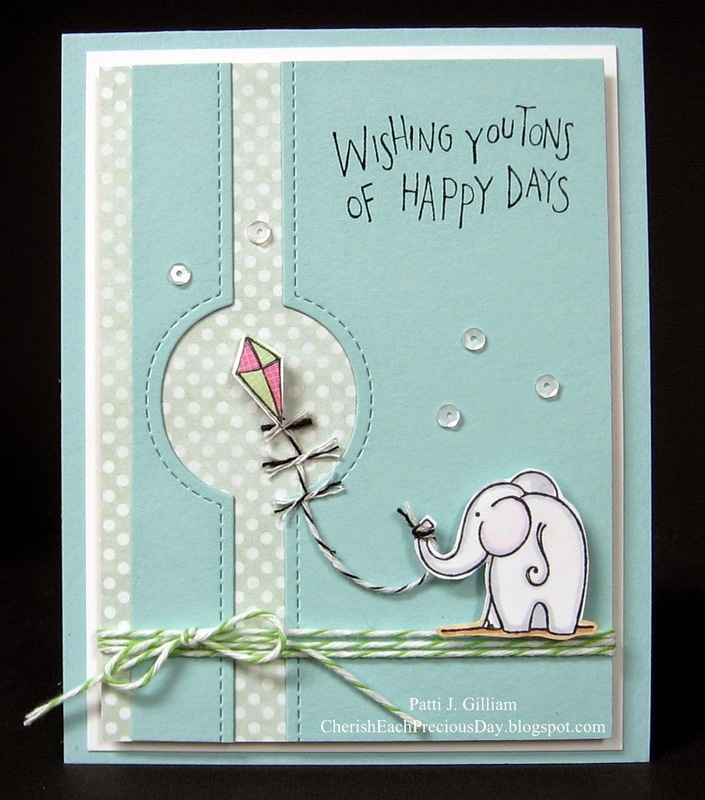 Great Impressions Stamps F548 Elephant with Kite, and C499 Tons, Tsukinedo Memento Tuxedo Black Ink, Patterned Paper scrap, Twine from my stash, Tombow Mono Adhesive Runner, Tombow Mono Aqua Liquid Glue, White Hammermill 100# Card Stock from local print store, Papertrey Ink Cardstock Spring Moss, Tombow Foam Pads. American Crafts Dear Lizzy 5th & Frolic Patterned Papers, Tsukineko Memento Tuxedo Black Ink, Tombow Mono Adhesive Runner, Tombow Mono Aqua Liquid Glue, White Hammermill 100# Card Stock from local print store, Kraft Card stock from Wal-Mart, Black Card Stock scrap. PapertreyInk Card Stock Royal Velvet, Great Impressions Stamps F402 Princess Molly, Great Impressions Stamps E759 Time to Celebrate, KaiserCraft Lavendar Haze Patterned Paper, Tsukineko Memento Tuxedo Black Ink, Tombow Mono Adhesive Runner, Tombow Mono Aqua Liquid Glue, Tombow Foam Pads, Copic Markers, Tim Holtz Distress Ink, Dusty Concord, Ribbon from Stash, Gold Glitter Pen. check out! I've shared an uber-fun technique with you there! 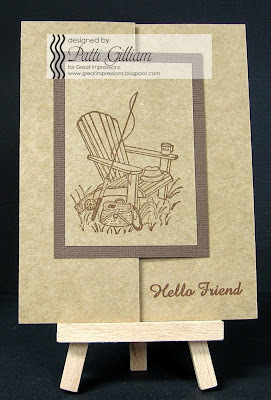 Now, it's time to share my creation for the Repeat Impressions' Blog, The House that Stamps Built! talented designer. Her challenge is 'Anything But a Card'. a fun gift box was created! Here the box is shown closed. Here is a view of the box from the side. Yummy! 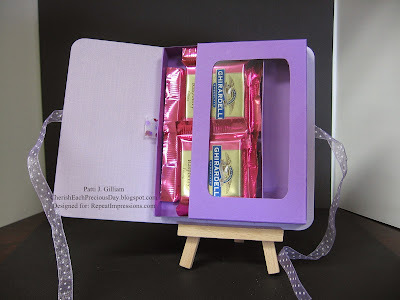 Look what is inside! 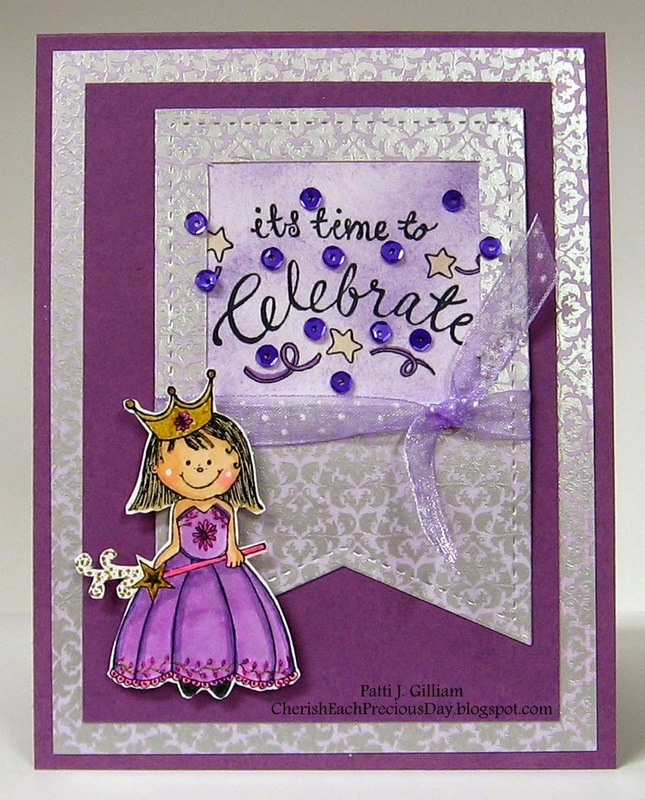 Come join in our Designer Choice Challenge! P.S. Used my Perfect Papercrafting Perfect Layers Rulers and Cutting Mat to get my pretty narrow pink mat - check out my sidebar to see how you can save money on your PPC orders! Boom Shakalaka - it's Friday! 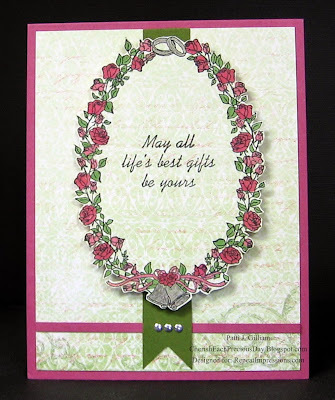 Before I get started - don't forget there is a Mother's Day Card Challenge going on until the 11th at the Die-Versions blog!!! Dani, the owner, is generously giving FIVE $20 gift cards to the Die-Versions store to 5 lucky participants. So far, there are ONLY 5 participants! Get that Mother's Day Card created, and hurry over to Die-Versions to link it up!!! I have a few things to share today, so I'd better stop jabbering and get started! 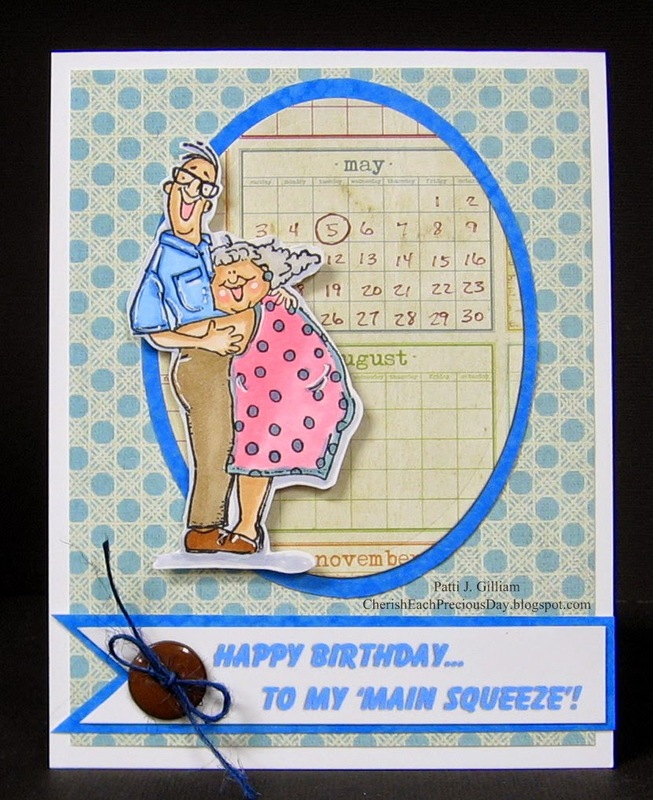 First, here is the silly card I made the Mr. for his birthday earlier this week. Those of you the know us, know that I'm a bit on the 'fluffy' side, and that he's getting a little 'thinner' on top, so when I saw this 'Main Squeeze' image at Eat Cake Graphics, I knew I had to order it! The sentiment is computer generated, and perfect for the image! He liked it, so that made me uber-happy. 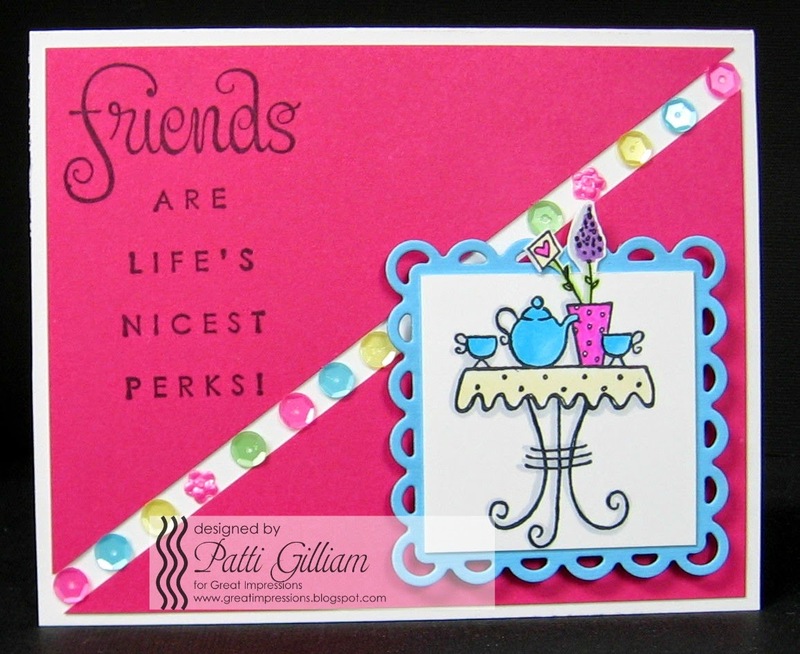 Next up, I made a card for this week's Friends with Flair Challenge at Unity Stamps. I love this saying - it's sort of written just for me as this is my outlook most days! I had a customer place a card order this week, and I think she'll like this one. Last, but certainly not least, I'd like to share my newest crafty tool. Perfect Papercrafting has a new item out, called The Perfect Portfolio. I saw it last week, and thought I might like it, so I ordered it. They shipped it out right away, and I've had a few evenings to use it. Little did I know that it would become one of my favorite tools! 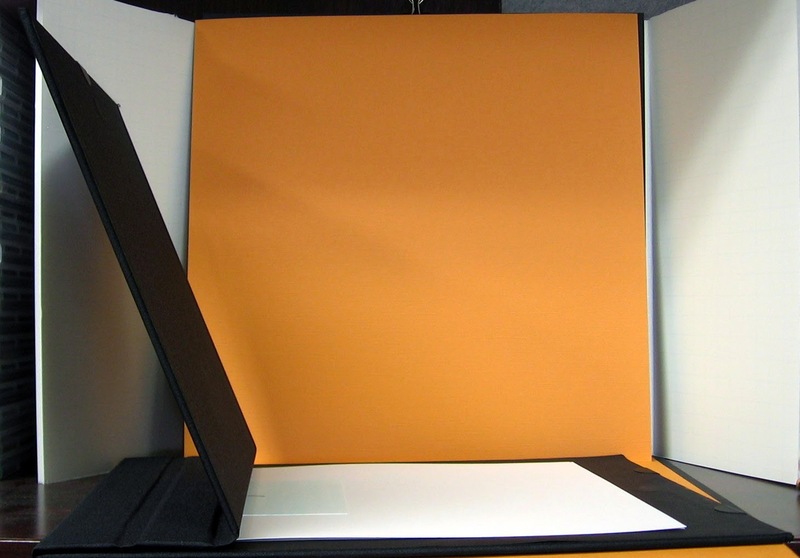 This photo shows the Portfolio completely closed. 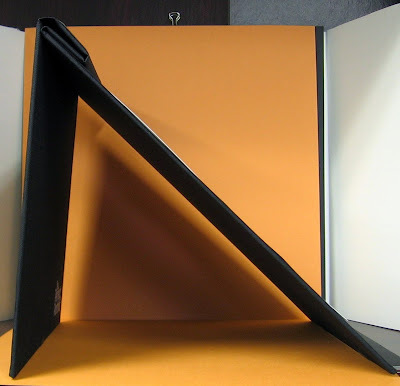 In this photo, I've just flipped the front back to the first 'fold'. Here, I have begun to fold the front to the back. And, here it is folded completely flat. 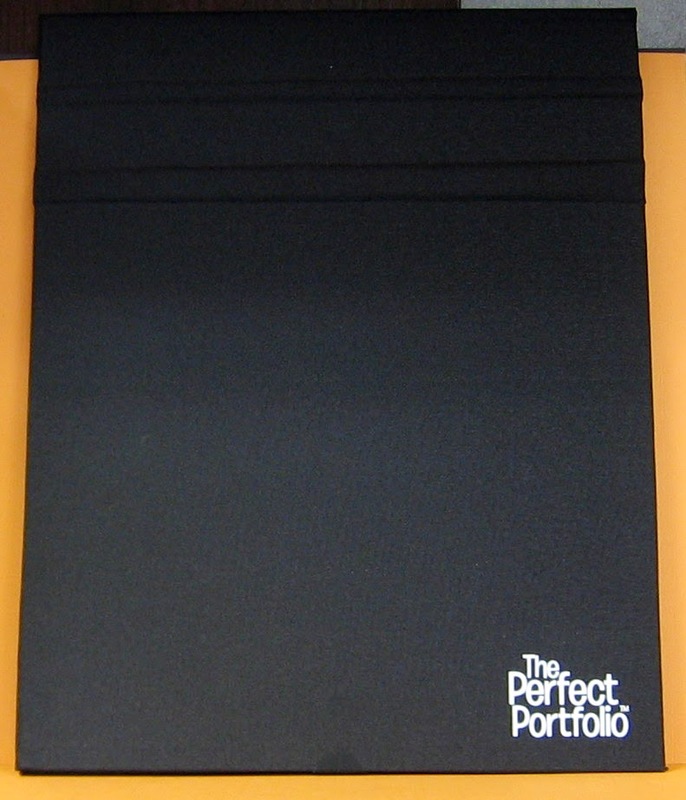 Finally, here is the portfolio folded completely flat. The strip that you can see at the top is magnetic, and holds your work in place while you write, draw, or color. 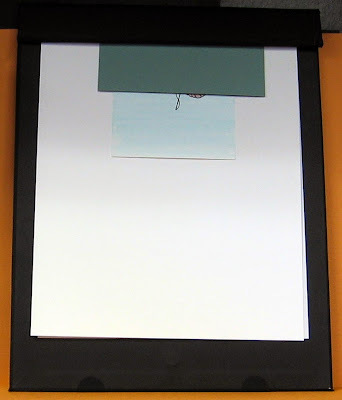 The front panel (which is folded completely to the back) and the back panel both have magnets inside, which eliminate any flopping of the covers. 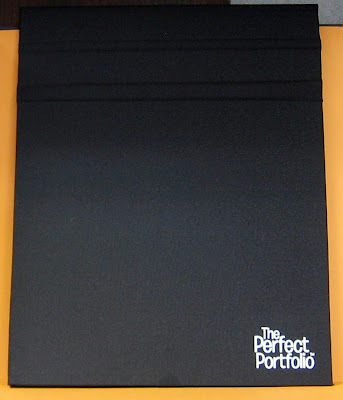 Also, when the portfolio is closed, magnets hold it tightly closed, securing whatever you have placed inside. This way, you can take several images at a time to work on as you have time. I used to carry an old wooden clipboard into the family room, and use it for my coloring time. 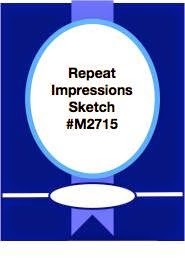 It seemed I would always end up with a mark on my image from the clipboard clip. As a side note, the clipboards were never comfortable to hold in my lap and work with. This portfolio is a soft material, and is a comfortable work surface for me. 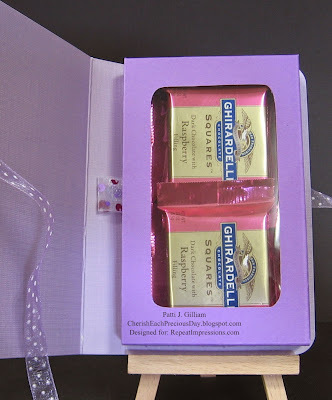 If you go to the Perfect Papercrafting Website, you can find a video showing how this works, much better than I can explain it. Be sure to use my code (Pgilliam) on any order for a discount! 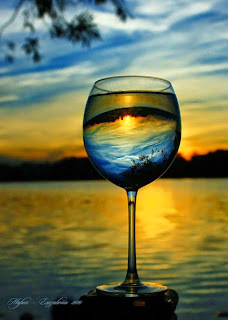 Thanks for stopping by today - I know it was a photo heavy post, and appreciate your hanging in with me to the end! I'm here today with a cute project for Die-Versions. 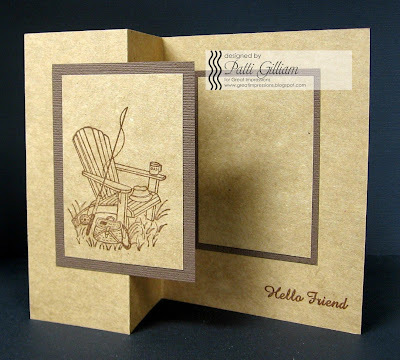 Usually, when I case (copy and steal everything) a card by someone else, it ends up looking so entirely different that I forget why or what I cased in the beginning! 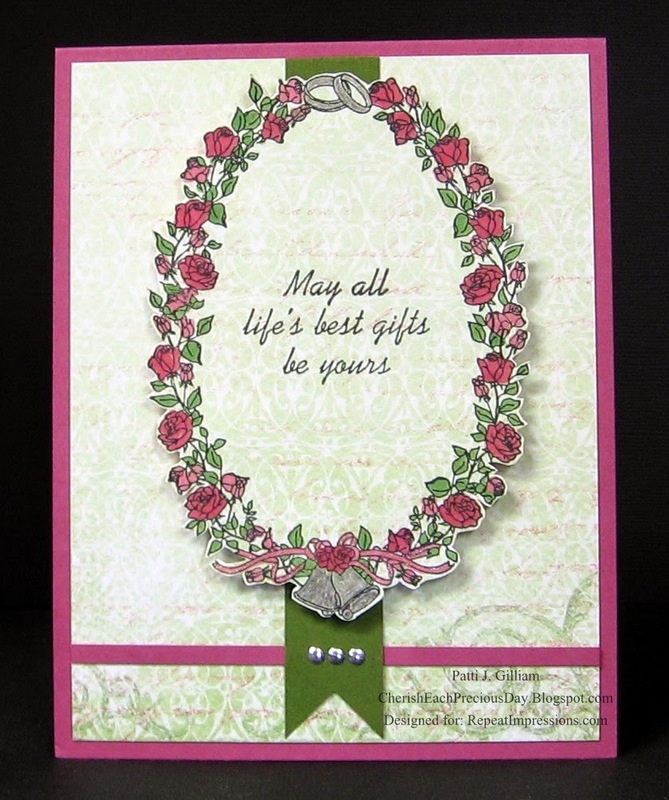 In full disclosure, however, I admit that I totally cased my card today, from THIS card by Jennifer McGuire. What a talented lady she is! Thanks Jennifer, for the inspiration. I used Die-Versions DV-9014 Cat's Meow for this card. I needed a birthday card for a friend, and thought this would bring her a smile. voila! One very sweet card! 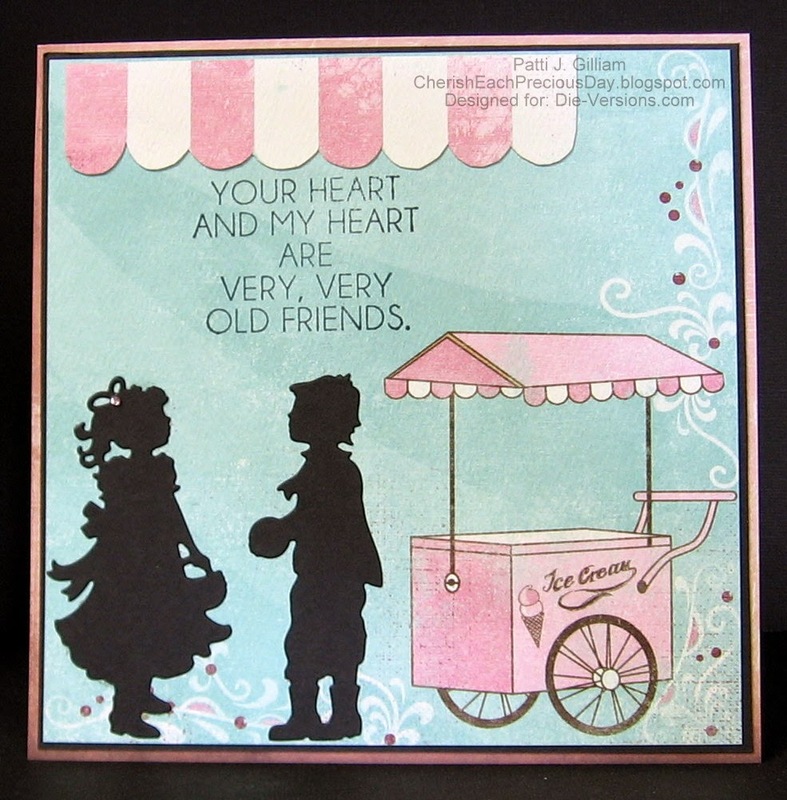 I'm so glad that Die-Versions is making both stamps and dies! Be sure to do some shopping for your Mother's Day gifts! become a follower - we'd love to have you! 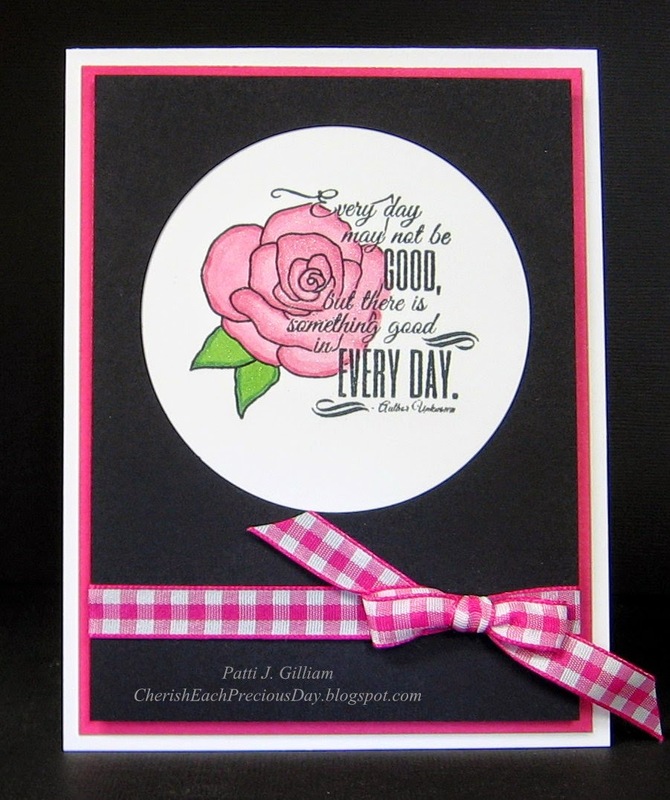 One of the DT members posts a project each day, so there is endless inspiration! Thanks for stopping by today, and hang in there - it's almost the weekend! P.S. 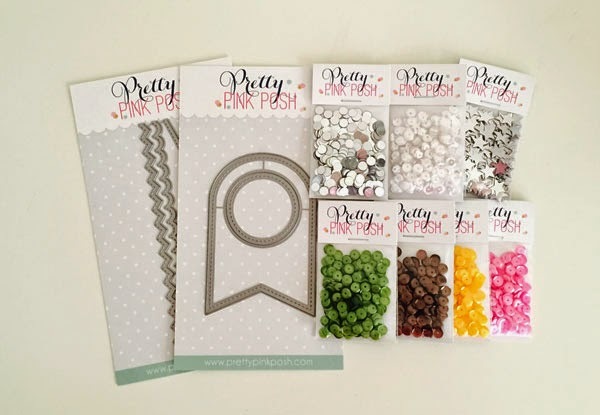 Check out my sidebar to see how you can save money, and have beautiful mats, using Perfect Papercrafting's Perfect Layers products. They also have a new Portfolio to offer - check it out! Great Impressions sponsors The Shabby Tea Room!